Tony Blair (b. 1953) Labour politician, MP for Sedgefield since 11983 and leader of the party from 1994. He was elected Prime Minister for the first time in 1997 and is therefore the last Prime Minister of the 20th century and one of the most controversial, frequently accused of abandoning Cabinet government and introducing a presidential style of leadership. He resigned as Prime Minister 27 June 2007 and as MP for Sedgefield and leader of the Labour Party the day after. 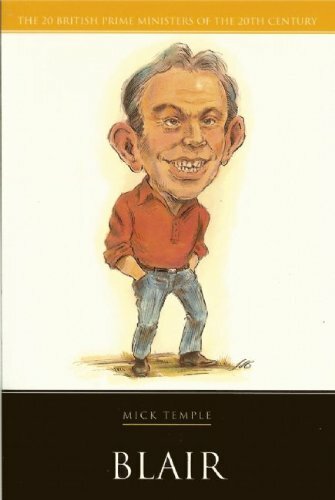 Mick Temple is a senior lecturer in Politics and Journalism at Staffordshire University.